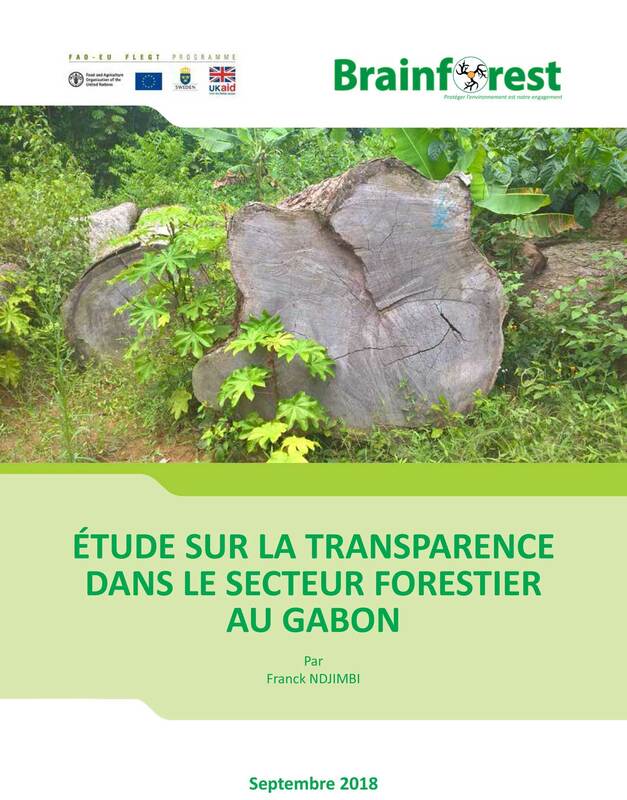 For environmental NGOs and observers of economic activity in our country, the ministry in charge of water and forests and forestry activity in Gabon are fertile ground for high corruption. Several forestry operators have been operating for decades with more or less commitment in compliance with the forestry law. But since the arrival of Chinese operators in this sector, it is the reign of mafia encouraged by the high department administration. Everything happens there: corruption, illegal exploitation of protected species, exploitation without license, large-scale poaching of protected species. 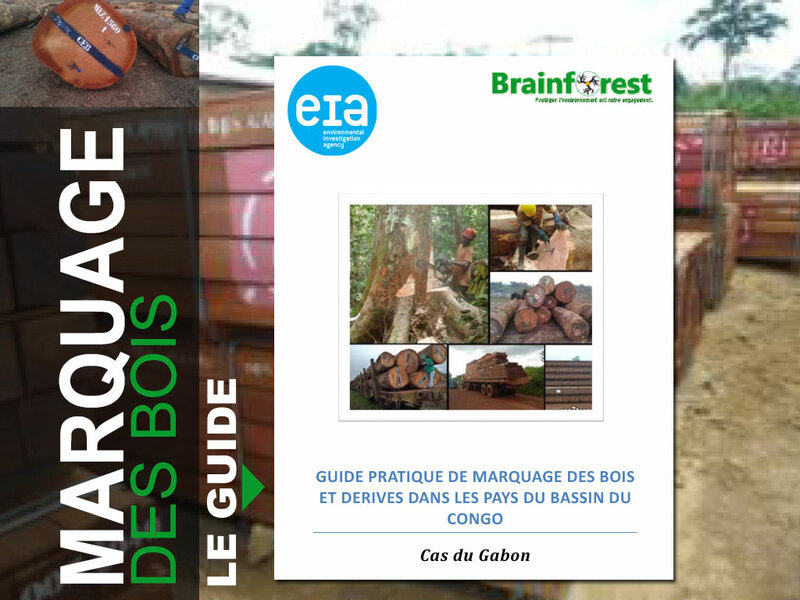 The province of Ogooue-Ivindo in north-eastern Gabon beats the registration of the Chinese invasion, as demonstrated by an important field mission carried out by the CAF program financed by the Agence Française de Développement in the context of the conversion of the debt. This economic reasoning is based on a 50% assumption of material input-output efficiency of the log (the other 50% refers to sawdust, the systematic incineration of pieces of wood). But the scandal is by no means at this level. 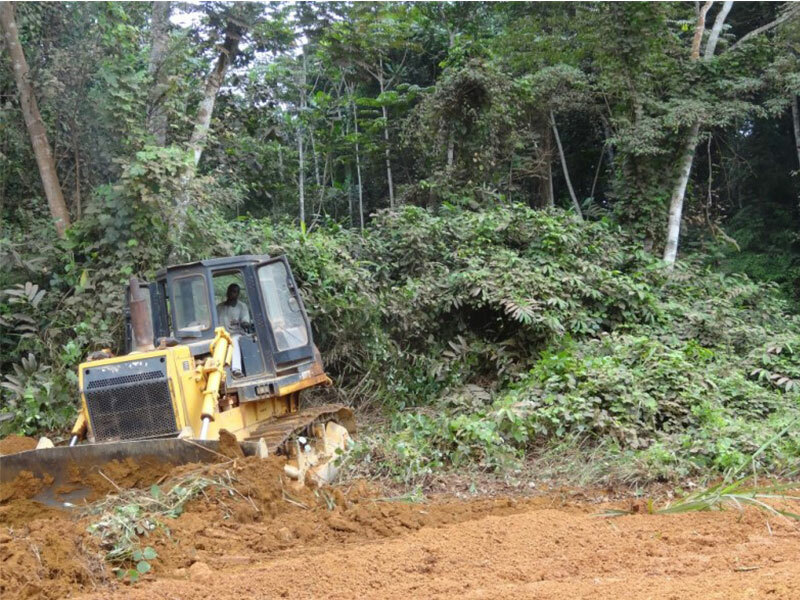 "The logging companies are stealing to the State", said the Head of this mission, who is also the coordinator of the CAF program, ruminating the anger of an OPJ who found the facts, as well as a water and forest ministry's officer who measures waste and looting of forestry companies, especially those with Asian capitals and particularly Chinese . To illustrate the waste and the considerable tax evasion that the Mission blames economic operators in the wood sector, the Head of Mission has shown, for example, that the two major companies, namely KHLL and WCTS, revelled in 3 years time to conceal billions of CFAs, which took unknown destinations. The first simulation shows how a company earned a little over 532 million CFA by exploiting a protected gasoline and overexploiting other species. Overall, the said company exploited the Mukulungu in its license. This "protected" gasoline should not have been cut. And yet, she was guilty of having dropped 481 logs of this precious and protected wood. 241 logs have been debarked and sold at an average price of 30,000 CFA per m3, excluding operating costs of 72,150,000 CFA at a cost of production of 34,872,500 and a margin of 37,277,500 CFA. To this must be added the revenues derived from the volumes of overcut timber (over-harvested logs) compared to the "Annual Operations Plan" (PAO), a technical document essential to the annual planning of cut timber . Thus, the company unlawfully cut 896 m3 of Bélinga (35,000 cfa margin on m3), 1991 m3 of Diétou, (32,000 margin on m3), 72 m3 of Doussié (70,000 m3 of margin on the m3), 1047 m3 of Ebiara (33,000 m3 margin), 409 m3 of Izombe (45,000 m3 margin), Movingui 2331 m3 (18,000 m3 margin), 4692 m3 of Okan 18,000 m3 on the m3), 61 m3 from Pao Rosa (95,000 m3 margin), 18,500 m3 from Sapelli (50,000 m3 margin) and 2963 m3 from Tali (35,000 m3 margin). All these offenses are estimated at at least 532 million CFA during the year 2016. According to the same investigations, in the same year, another Chinese company accumulated more than 2.7 billion CFA. 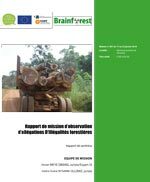 1,021,030,000 CFA on prohibited tree species (Iroko, Izombé, Sipo, Tiama and Mukulungu) for more than 5,658 m3 of cut and 2829 m3 of timber cut. 1,752,688,000 CFA for 4,081m3 of overcut timber compared to the PAO of the year 2016. These two companies, on their own, therefore fraudulently pocketed the sum of CFA 3,305,942,500, with the presumed complicity of the public officials. 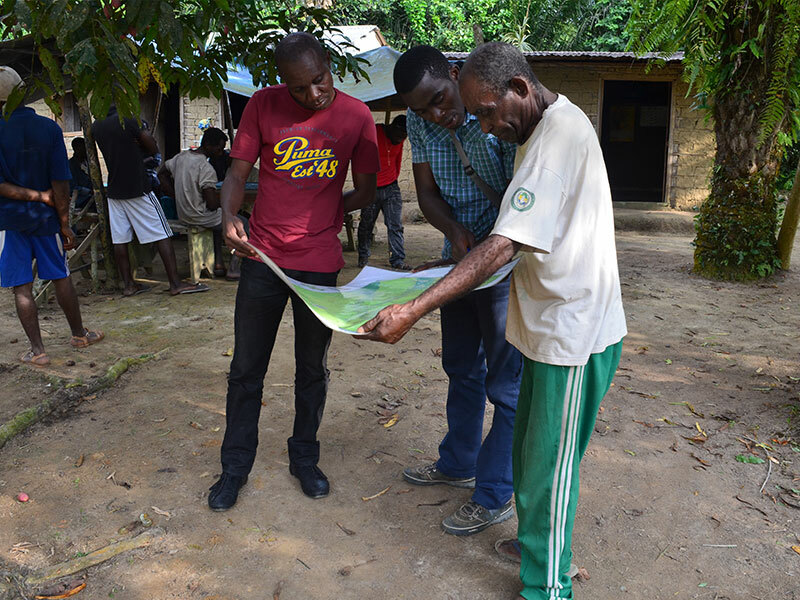 Taking into account the fact that Ogooué-Ivindo has 19 Sustainable Forestry Concessions (CFAD), of which 14 are active, 16 Provisional Development and Processing Agreements (CPAET), of which 9 are in operation and 19 are Community Forests (CF) Of which 8 are active, or 33 active licenses out of 54, the damage can logically be estimated at more than 54 billion CFA at the rate of 1.652 billion on average debt per company. Nevertheless, it should be noted that only 16 CFAD, CPAET and FC have been audited but the amount of the debt will be dizzy. 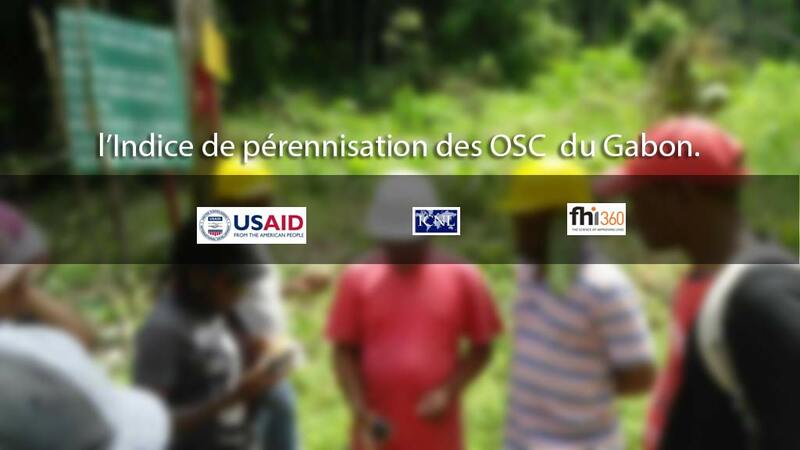 This mission has been able to demonstrate that Gabon can count on its forest to support its development. These unscrupulous operators, some of whom had stayed a few days earlier in the jails of the General Directorate of Research during the police custody for the purpose of investigations, and the workers of the said companies, some of them, wrongfully dismissed or injured work, and who have never been adequately addressed, have been built on the fact that, "forest management has the objective of guaranteeing the renewal of resources and guaranteeing the company a sustainable exploitation period (20 to 30 years) and therefore to have sufficient volumes over time. This is no longer the case. The report is overwhelming, the foresters are shaving everything. They cut the sub-diameters, they cut off license, they take woods that are forbidden to them, but they also mistreat their workers by denying them CDI (Open-ended contract) and benefits. And that can not go on, "he said. But it is not only the flora that is the victim of this Chinese mafia. In the forest there is also the fauna. The "commando" action of the anti-poaching officers (LAB) during this mission made it possible to demonstrate that the province of Ogooué-Ivindo is living at the rate of great poaching and heavy traffic. Through four sniffer dogs, twenty-four pieces and four elephant ivory points as well as six shotguns were seized. The Mission raised many questions. On the capacity of these sworn officers to carry out the forestry police, on the legal proceedings initiated, on the seizure and shutdown of production units and on police custody whose reasons and contours were Uninformed, provoking interventions and interpretations all round. However, the Forestry and Forestry services, which have to fulfil the mission of control and forest police on a daily basis, lack technical and transport means, sometimes being forced to ask alms to the economic partners that are the Chinese with all the risks of corruption that this can generate. This mission allowed the CAF (a team of 60 people and 5 sniffer dogs to reaffirm its commitment to continue raising awareness and moralizing the forestry sector, to ensure good practices in forestry and wildlife management and, above all, to remain mobilized in the face of Destruction of the Gabonese forest which may not regenerate, if the massacre does not cease, for the benefit of the social welfare of the village communities and future generations. It is to be feared that this action cannot have expected results in view of the pressures coming from everywhere even from the authorities of the ministry accomplices of the mafia in progress and who feed on this situation to maintain an illegal financial power.